A group of Democrats gathered Sunday night at Free Cycles in Missoula to rally for their preferred presidential candidate, one who has based his election on small contributions from what supporters now call the 99 percent. While Montana’s primary election may still be months away, those who gathered at Sunday’s potluck are pushing for Bernie Sanders, and they’re hoping the state’s delegates are listening. The state’s 21 pledged delegates on the Democratic side have yet to place their support behind either of the party’s two presidential candidates. But the Sanders campaign is hoping to change that, and it has already establish a presence in the state. 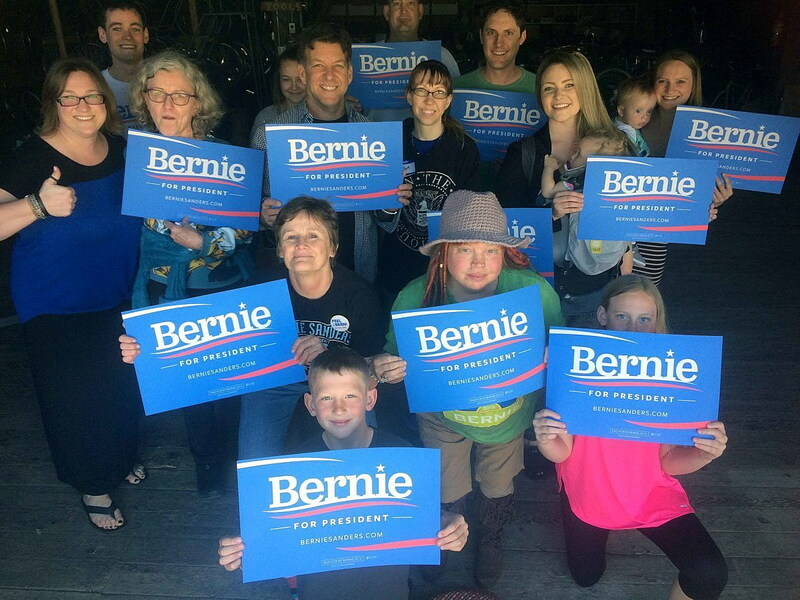 Sanders’ Montana field director Chris Karich met with supporters on Sunday night, where talk of the 99 percent, big money, super PACs and income inequality dominated the conversation. According to the Federal Election Commission, Sanders has raised $145,810 in Montana compared to Hillary Clinton’s $93,684. On Sunday night, Sanders’ supporters were invited to make a contribution, however small, on a laptop provided for the event. To date, according to the FEC, Republican presidential candidates have raised $627,889 in Montana compared to $240,994 raised by Democrats. 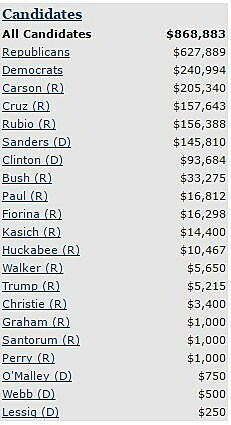 Presidential fundraising in Montana in 2016 according to the Federal Election Commission. Throughout the campaign, Sanders has repeatedly said that the nation’s political campaign finance system is both broken and corrupt. The system is so flawed, he argues, that super PACs have more money and more influence over campaigns than the candidates themselves. Many on Sunday agreed that big money in politics favors billionaires and special interests, and they want to see it changed. While Gillison said she’ll likely support whoever emerges as the Democratic front runner, Welker is taking a “Bernie or bust” approach. Todd Leifer hopes it doesn’t come to that by supporting Sanders from the start.